The Great Recession that began around 2008 brought tremendous upheaval to the housing market, which led to a historic shift in the United States from a home-owning society to a renting society. Vacancy rates dropped and, in many places, rental rates skyrocketed. An improving economy, coupled with a multiyear multi-family housing building boom, may finally be resulting in a cooling rental market, at least in some parts of the country. Like any business owner, landlords constantly should reassess market conditions and react accordingly in order to remain competitive. In this article, we’ll look at six trends in multi-family housing that independent landlords may want to consider on a more modest scale to make their properties more interesting to tenants. First, however, we’ll briefly discuss what happened in the 2017 multi-family rental market and what we can expect to see this year. In 2017, developers opened close to 100,000 new apartments each quarter. That influx of new units didn’t seem to faze occupancy, which remained around 95 percent, NREI reported. That figure agrees with an in-depth analysis of the multi-family market completed by Freddie Mac, which counted 350,000 new units through November 2017 and estimated a vacancy rate between 4.5 percent and 5.5 percent in 2017. In terms of the bottom line, the days of high single-digit or even double-digital growth in rental rates appear to be on the decline in most parts of the country. Most experts predict rental rate increases in 2018 to return closer to historic levels, somewhere between 2 and 3 percent, though occupancy rates are expected to remain close to where they were last year. 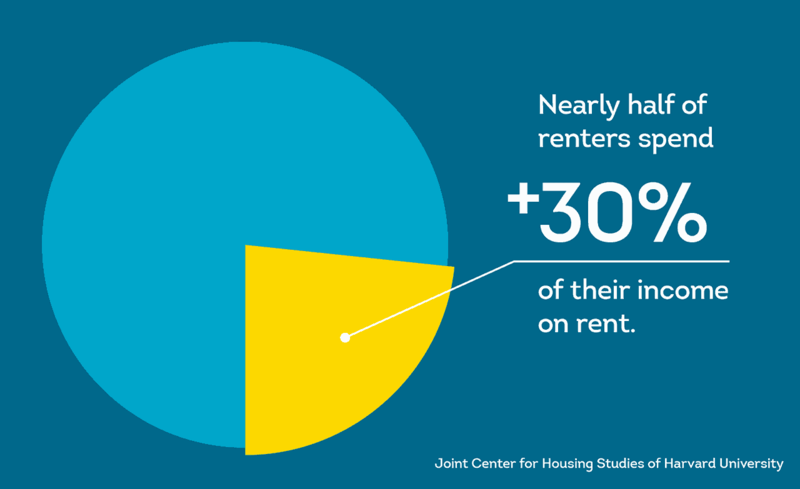 In addition, rental affordability is at a peak in terms of percentage of income going to rent, with nearly 21 million households spending more than the 30 percent of their paychecks on rent, according to the Joint Center for Housing Studies of Harvard University. While 2017 appears to be the first year in a decade that owner household formations outpaced renter household formations, the multi-family rental market should remain resilient as the economy continues to expand. There are a number of reasons for optimism. For example, NREI notes that the new tax law passed last year eliminates certain tax benefits of home ownership that may steer people away from purchasing a home. Also, as we’ve written before, certain population demographics favor renting over owning, particularly Millennials and empty-nester Baby Boomers. However, it is important to keep in mind that as Millennials grow older and experience lifestyle changes, such as marriage, birth of children and procurement of higher income jobs, they will start to buy homes. Takeaway: The rental market looks to remain resilient through 2018 despite the addition of hundreds of thousands of new multi-family housing units. The ability to ask for higher rents, however, may be diminished. Of course, that will always be location dependent. In addition, increased competition from large multi-family properties that are popping up in urban areas means independent landlords may have to up their game to attract quality tenants willing to pay premium rental prices. Now, let’s look at some of the multi-family housing trends and how independent landlords can take advantage of this evolving landscape. Today’s renters, particularly Millennials and the younger Generation Z, value a sense of community. A large survey covering 100,000 units in 35 states by the National Apartment Association found that half of the top 10 multi-family housing amenities included community-related aspects of apartment living, The Washington Post reported. This is particularly important as the size of multi-family housing units have shrunk nearly 10 percent nationwide in the last decade. While fitness centers remain a popular amenity, some multi-family housing developments are adding new spaces that reflect the way people live and shop, such as expanding package handling facilities for the influx of e-commerce purchases from companies like Amazon that are also delivering groceries. Takeaway: Although a single-family home will likely not be able to offer built-in community areas like clubhouses or co-working spaces for telecommuters or other spaces for congregating and socializing with neighbors like a multi-family apartment, single family homes provide other advantages such as larger spaces, custom units, location preferences, and other upsides for renters. A related trend to creating community spaces in multi-family housing is offering outdoor areas that feel like an extension of a tenant’s indoor living space. What’s better than a well-equipped clubroom? A clubroom with maybe an outdoor kitchen or grilling area for entertaining or relaxing. Fire pits are also a popular outdoor amenity. Plenty of multi-family housing developments offer indoor theaters, but the desire to be outside more, especially in those parts of the country with year-round good weather, lends itself to an outdoor theater space. Rooftop decks are also very much in demand. A rooftop deck provides yet another place for community connections and a place to enjoy the outdoors. 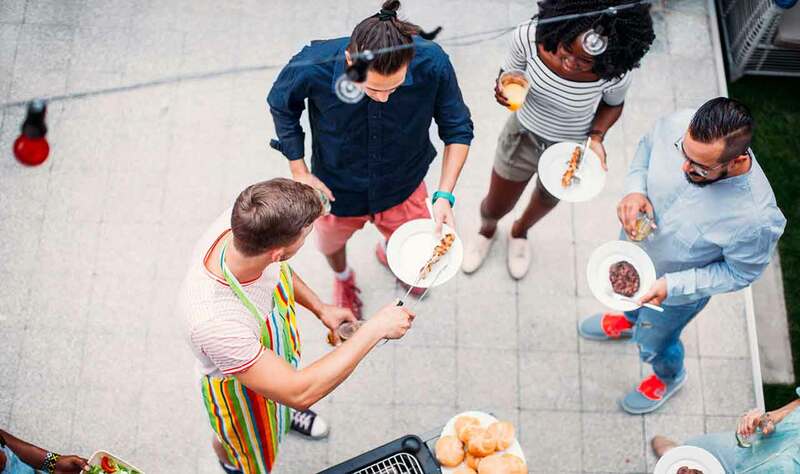 Takeaway: To the extent that your unit can offer an outdoor space for renters to enjoy, it can start to compete with large apartment complexes. If you have a space that can be converted into a good outdoor living area, then consider adding a patio, firepit, eating and gathering area and grilling station. Always keep location in mind: Look for properties with good access to parks or pedestrian-friendly retail districts. Technology permeates modern life, and multi-family housing is no different. Large multi-family units offer fast WiFi in common areas and provide smart-enabled thermostats or other smart appliances in individual units to attract the tech-savvy Millennial crowd. Others equip co-working spaces to serve the growing telecommuting population with wireless printers or even video conferencing equipment. Takeaway: At minimum, a landlord should ensure the property has access to a fast internet connection. It may make sense to offer “free” internet as part of the rental, especially if the lease already includes other utilities. The landlord can easily recover these costs in the price of the rental. Remember that more and more people, especially the younger generation, are cutting the cable cord in favor of smart TVs and streaming services. Technology can also benefit the landlord by adopting online systems that handle everything from maintenance requests to rental payments. In fact, using an online rent payment service is a great way to help ensure tenants pay their full rent on time. According to the 2017-2018 National Pet Owners Survey conducted by the American Pet Products Association, about two-thirds of U.S. households, or about 85 million families, own a pet. That’s too big a demographic to ignore, and multi-family housing developments are responding beyond just allowing pets on premises. How? Two words: Pet spa. These areas offer tubs and dryers for tenants to bathe and pamper their best friends. Other multi-family housing developments have gone so far as to provide outdoor spaces specifically for pets, turning little-used tennis courts into dog parks, for example. 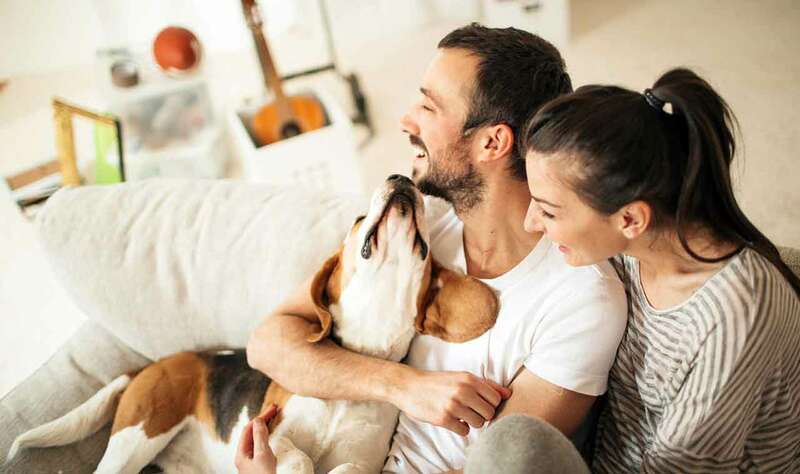 Takeaway: When it comes to allowing pets in rentals, it’s beneficial to be pet-friendly to compete with the large apartment buildings that are rolling out the red carpet for pets and pet services onsite. Additionally, to further widen your applicant pool, consider accepting large dog breeds that may not be permitted in many multi-family apartments. Most states allow landlords to collect additional deposits to cover damages from pets. Some landlords opt to charge a higher monthly rent for pet-owning tenants. Many tenants are interested in living in places that are environmentally conscious, with easy access to services like recycling. This ethos to sustainability is about more than sorting bottles and cans, however. It’s a lifestyle that extends beyond the four walls of an apartment complex. For example, bicycling is becoming more popular, with the number of riders increasing from 51 million to 66 million between 2012 and 2017 in the United States. multi-family housing developments are responding by devoting more space to bike storage and parking, with some even offering repair facilities. Takeaway: Independent landlords can join the green revolution by providing easy access to recycling services. They could even go a step further and get creative, such as providing a composting station in the backyard or water catchment for watering the garden. Going green, such as by the addition of solar panels to your property, can also be beneficial to the bottom line. The improvements often come with tax credits and can significantly offset electricity costs in the long term. The multi-family housing market appears to be finally returning to equilibrium after years of strong growth in the rental market. While vacancy rates are expected to remain relatively low despite the booming economy, independent landlords may want to invest in new amenities, community areas and technologies that will make their properties more attractive to prospective tenants and compete well against large new apartment complexes with all of the latest amenities. Independent landlords may not be able to compete with large multi-family properties perk for perk, but there are some relatively low-cost options for making improvements to a property that will attract quality tenants willing to pay premium rents. Toward that goal, TransUnion SmartMove’s suite of tenant screening services will help landlords figure out which applicants are most qualified for any given rental property. SmartMove offers a tenant credit report, a criminal background report, an eviction records check, and an Income Insights report so landlords can identify the right fit for their property.